Is being ‘unorthodox’ sinful or could it be the way forward? For the past few weeks I’ve been engrossed in reading a find that I fortuitously happened upon at my school’s library – Reading Judas: The Gospel of Judas and the Shaping of Christianity by Elaine Pagels and Karen L. King. 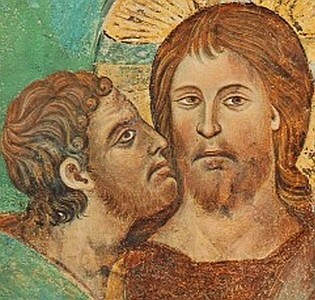 As I’ve explored and contemplated on its subject matter I’ve realized that the Gospel of Judas was not only a subversive and compelling narrative at the time of its composition but also has much wisdom to impart to Christians of the twenty-first century. Today, the Gospel of Judas can be grouped into a category of early Christians works that have come to be referred to as “Gnostic.” In Greek “gnosis” translates as knowledge, and the various Christian communities who would now be classified as Gnostic saw salvation as being accomplished through delving into one’s soul and becoming enlightened spiritually. Gnostic Christians continued to view Jesus of Nazareth as the prime revelator of what the Reign of God in this world would be like. Yet, instead of believing in a physical resurrection of the body after death, Gnostics were convicted that the corporal body would deteriorate while the soul would remain alive forever with God. In the Gospel of Judas (which was authored during the mid-second century C.E.) a theological agenda is presented rather than a historical analysis of the man Judas Iscariot. Although it would never make it into the canonical New Testament, it shared in common with the four Gospels the fact that its author was probably not the apostle whose name the work bore but rather a particular person or community invoking that disciple’s memory and authority in order to give credence to their words. By the end of the Gospel, Jesus initiates His own demise by imploring Judas to hand Him over to be killed. Thus, the act that for a millenia has been depicted as the height of hypocrisy and betrayal is here painted as a final act of trust and discipleship. The ensuing passion account that makes up a key part of the four canonical Gospels is notably absent in the Gospel of Judas, nor is there a direct portrayal of the Resurrection of Jesus. This implies that the death of Jesus was the ultimate gateway that freed His Spirit from the prison of His body and allowed Him to return to God. Thus, in keeping with Gnostic theology, the Resurrection is a spiritual not a physical reality – Jesus passing from one stage of life, to the next. The question begs to be answered: what do these intriguing themes and images mean? It must be remembered that the time in which the Gospel of Judas was composed was an uncertain and tumultuous one for the early Church. During the second century C.E. the Roman empire carried out relentless persecutions against those who identified themselves as followers of Christ. Tragically, scores lost their lives for the sake of their devotion to the Good News. Many leaders of the Church, principally St. Irenaeus of Lyons, encouraged Christians to remain faithful to the end, indicating that God was pleased by the death of dedicated and brave individuals just as He was satisfied and desired the passion and death of Jesus upon the cross. Modern scholarship now shows that this was not the only theological view that prevailed among Christians of the day. The Gospel of Judas is tangible proof of this fact. Instead of being of one “uniform faith” as the Catholic and Orthodox churches have maintained for centuries, the early Church was rather an intensely diverse and heterogenous organism. In fact, it could be said to more closely resemble how Christianity is expressed today – through numerous denominations and theological points of view – than with the monolithic, imperial institution it would later morph into during the Middle Ages. The Christian communities of the ancient world encompassed numerous and unique groups, usually, each with their own respective interpretation of the Gospel. Also, at this time there was no formalized canon that defined what Christians had to read, so the traditional four Gospels we know today that expound on the life and teachings of Jesus of Nazareth were just four among numerous other reflections that attempted to put into words just what the life of this extraordinary man meant for the rest of humanity. Whomever it was that authored the Gospel of Judas vehemently disagreed with the approach to the subject of martyrdom that St. Irenaeus and other leaders of the Church were taking – namely, that if the opportunity to offer one’s life for the sake of the Gospel was presented, they should take it, or risk eternal damnation. It made them ask the question: what kind of God would delight and desire in the death of those who loved Him? Moreover, a God that required the sacrifice of His own Son to placate His wrath and restore harmony to the universe seemed very much motivated by vengeance and hedonism rather than mercy and peace. This violent approach to the exercise of one’s faith was blatantly evoked in the Gospel of Judas when the twelve apostles regaled the horrors of their dream to Jesus only to learn from His lips that it was themselves that they had witnessed committing such atrocious acts. When the Gospel of Judas was written there was no universally defined ecclesiastical hierarchy as there is today in Catholicism, Eastern Orthodoxy and other Christian bodies. But the glimpses of such an establishment would begin to appear during the second half of the second century C.E. It was then that various leaders of the Church, who began to be styled as ‘bishops’, would invoke apostolic authority over whole jurisdictions and communities as ‘successors of the apostles’ claiming that Jesus had instituted the group of twelve apostles so that following His death and Resurrection, his Church on earth would always be guided and secured in the truth by the successors of His original first followers. Obviously, the authors of the Gospel of Judas held this opinion in grave contempt. However, this theological trend would become the norm in the coming decades and in 325 C.E. Emperor Constantine would convene the Council of Nicaea (in modern day Turkey) to declare Christianity as the official religion of the Roman Empire. Yet, all the bishops that he invited to the Council were all leaders of wealthy and powerful churches throughout the Mediterranean. It was these bishops who would agree upon the terms laid out in what we know today as the Nicene Creed. Now that this was the officially endorsed version of the Christian faith that was to be practiced throughout the empire any other expressions of Christianity that deviated from the conditions enumerated in the Creed were condemned as “heresy” and nearly all of their churches, writings and communities were destroyed by those who were now in power who saw themselves as being the orthodox (adhering to ‘right belief’). In one of the most unjust and sad cases, it can be seen here that history is truly written by the victors. It was only by chance that the Gospel of Judas was discovered, after countless centuries of dormancy, hidden in a jar, scrawled on fragmenting pieces of papyri in the sands of the Egyptian desert. Now, a voice has been restored to a paradigm that history thought had been extinguished. Can Christians today, and all people of goodwill, continue to be edified and enlightened by the wisdom of its words? The fundamental premise expressed in the Gospel of Judas has more poignancy today, than ever before. Considering who won the theological dispute, the notion of sacrifice still has a profoundly central focal point throughout all of Christianity. The defiled, sinful nature of mankind is still used as the ultimate explanation to describe why Jesus of Nazareth was put to death on the cross. Now, within Catholicism – especially in the English-speaking world – with the advent of new, imposed translations of the Mass, it will be the sacrifice of Christ, above all else, that stands out as the overarching theme during the celebration of the Eucharist. It is not as if this theme should be relegated to the sidelines, as Christians throughout the centuries have seen the Eucharist as, mystically, uniting all the faithful to the final act of love that Christ performed through His death on the cross. But forgetting about the concept of the Eucharist as an intimate meal – as the Last Supper was – and a joyful act of worship that the entire Christian community participates in (not simply those who have been ordained) fails to live up to the legacy that the Second Vatican Council bequeathed to the entire universal Church. Even today, it seems that the self-proclaimed ‘successors of the apostles’ continue to forcefully advocate for martyrdom among today’s Christians or risk being consigned to the realm of eternal hellfire. Instead of progressing and reflecting with society about the diversity and inherent worth of all humanity, many leaders of the Church continue to exhort lesbian, gay, bisexual and transgender persons to sacrifice themselves on the altar of orthodoxy by stating equivocally that celibacy is the only path to holiness in this life they can hope to enjoy. Although not a physical act of martyrdom, it is indeed one of the mind, of the psyche, and ultimately of the soul. It may have been fate that allowed the Gospel of Judas to be discovered for the edification of the whole People of God throughout the world. Perhaps a persona that for centuries has represented betrayal, deceit, and hatred can be rehabilitated to offer the human race what Jesus of Nazareth originally intended to impress upon all those whom He met? “I came that they may have life, and have it abundantly“ (John 10:10). I’m fascinated by the Gnostic Gospels as well, and I read this book about three years ago. Although I don’t remember it vividly now, I was struck by how much relevance it still had today, especially in addressing issues of religious power, abuse of that power, and hypocrisy. But I guess the beauty of the Gospels, whether Canonical or not, is that they continue to be relevant thousands of years later. Another thing I appreciated about Pagels and King’s commentary was that it was given without judgment. There was no implication of, “Look how evil early Church Fathers were for suppressing this!”, nor, “Look how heretical the Gospel of Judas is!” I think that a lot of people could take a page from them when it comes to examining controversial materials in a calm, respectful, and sane way.